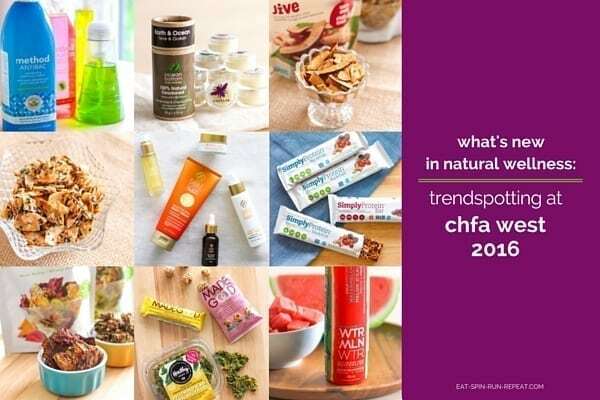 As a health and wellness enthusiast, one of the events that I’ve most looked forward to over the past 4 years is the Canadian Health Food Association’s (CHFA) annual trade show and conference. 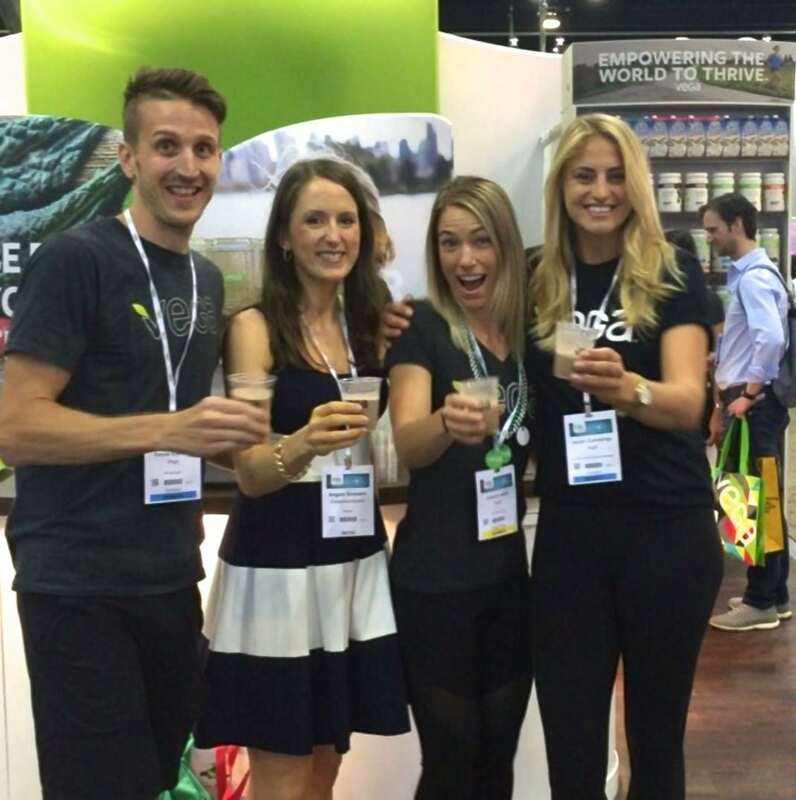 The trade show consists of 2 days, 1 massive exhibit hall, and tons of vendors who come to show off the latest and greatest things they’re doing in the health food industry. It’s through these events that I’ve developed relationships with some amazing companies, and while there’s no end to the taste testing that can be done at these shows, the conversations I find myself in are just as much fun. This year’s event was last weekend, and because the floor was huge and I had a big mission ahead, a quick smoothie with my friends at the Vega booth was in order first. 1. Chips, chips and more chips. Looking back at all the samples I came away from CHFA with, and all the photos I took, one thing was very clear: just like companies that cater towards the mass market, companies in the health food industry also recognize that we’re a convenience-hungry society and that if a product can be consumed and packed on the go, it’s a win. As a result, pretty much any kind of veggie is being made into chips. 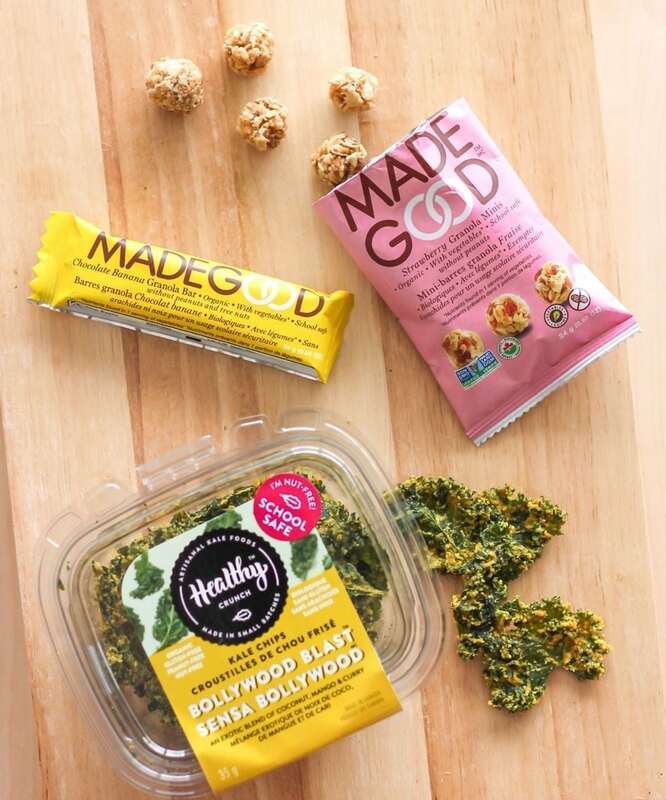 Kale chips and coconut chips were in bountiful supply at this year’s show, both from some of the OG kale chip experts as well as new companies. These are far from new concepts, but I’m pretty sure there’s just as many flavours of kale chip on the market these days as there are regular potato chips – lightly salted, vegan ‘nacho cheeze’, ranch, dill pickle, sour cream & onion, salt & vinegar, barbecue, bacon, all-dressed, curry, chili lime, and yes, even ketchup kale chips. As you’ve probably noticed, companies are baking and dehydrating a lot more than just kale. One of my favourite brands, Hippie Foods, has had their line of Hippie Chips on the market for a while now. 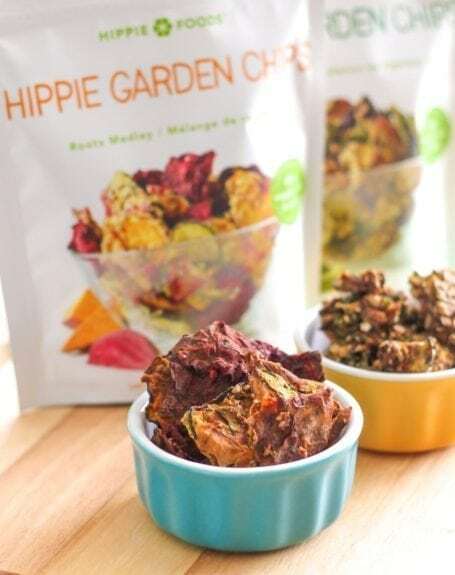 Hippie Chips are available in 3 flavours Crunchy Coleslaw, Snacking Stir Fry and Roots Medley, and all three are raw, organic, gluten free and non-GMO. I realize you might be thinking “Isn’t that how all vegetable chips should be? !” and my answer is yes, it should! 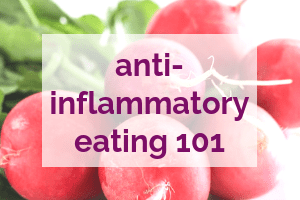 But you’d be surprised by how many other ingredients are in any bag of ‘healthy chips’ you pick up in the snack aisle, and in many cases, you won’t see vegetables at the beginning of the list. 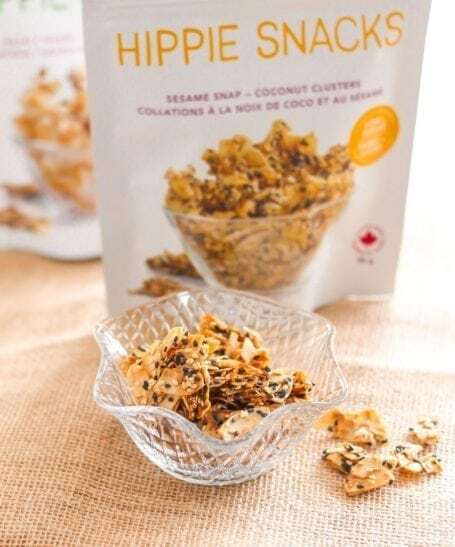 As far as coconut chips go, Hippie Foods also has Coconut Clusters in three flavours, Nearly Naked, Zesty Chili and Sesame Snap (my personal fave by a long shot). Hippie Foods definitely aren’t the only ones on the coconut chip making bandwagon, and just like veggie chips, the variety here is also growing a lot. Prana has just introduced a new lineup of flavoured coconut chips which includes Charleston (bbq), Jive (spicy chili), Hula (sea salt and pepper) and original. 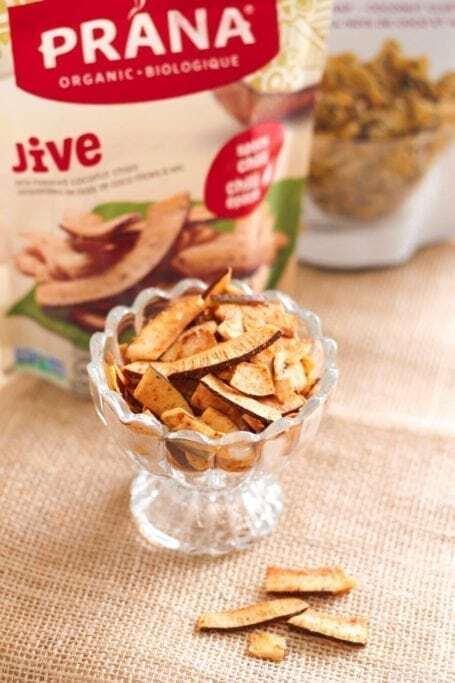 Coming from someone who doesn’t love coconut, the Sesame Snap Coconut Chips from Hippie Foods and Jive Coconut Chips from Prana are pretty addictive. And last but not least in the chip category is innovations in seaweed chips. If you’re like me, you might love seaweed chips because they satisfy cravings for a savoury snack, and the iodine content in seaweed is good for thyroid health. But raise your hand if you’ve ever tried to eat them in the car and ended up with a lap full of crumbs? (Both of my hands are in the air over here!) To fix the problem, brands like Annie Chun’s and SeaSnax have introduced what I like to call ‘reinforced seaweed crisps’ – that is, a seaweed layer stuck to a thin rice chip. Summing up this trend, veggie, coconut and seaweed chips aren’t new, but I like that we’re getting more options. And maybe, just maybe, one day my favourite kale chips will be as cheap as (potato) chips. I can’t believe I just wrote 7 paragraphs about chips. ? We’ve all had plenty of hummus and guacamole, and perhaps you’ve got a healthy array of nut butters sitting in your pantry. 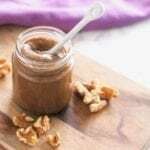 Nut butters have been around for years, and this year’s varieties at CHFA included protein-infused blends (mostly with whey protein) and powdered versions. 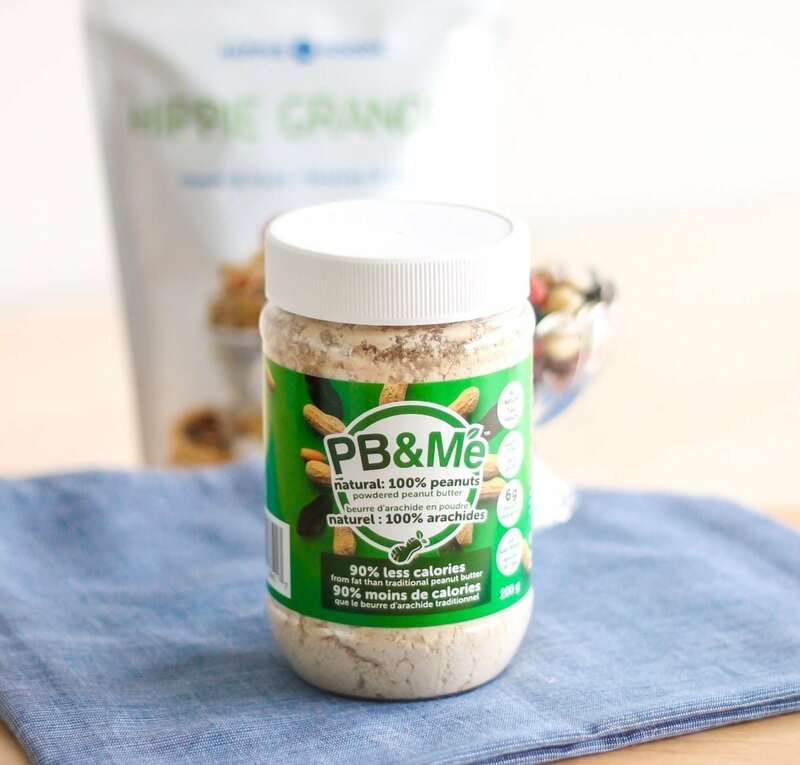 PB&Me is a newer Canadian player in the powdered peanut butter market with 3 different varieties – chocolate hazelnut, natural (just peanuts), and traditional (lightly salted and sweetened). In case you’re curious, one of the main selling points that distinguishes powdered PB from the standard kind is that all the oil is removed from the peanuts, meaning that what’s left behind is a lower calorie, lower fat, more concentrated plant-based source of protein. Of course, calories aren’t everything when it comes to nutrition and fat is crucial in our diets, but if you’re a nut butter addict who finds portion control difficult, PB&Me might be something to try! Other spreads I found focused on core ingredients like coconut and maple syrup, and bacon… you know, just in case you don’t have time to fry up the real deal. ? 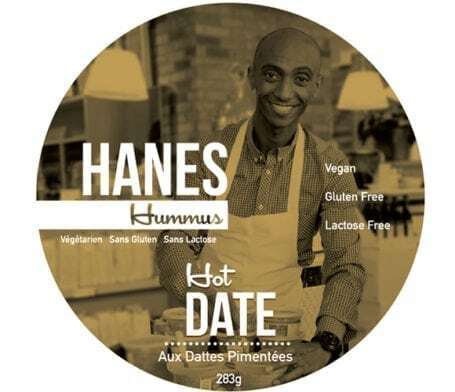 One of my favourite unique discoveries at the show in the spread category was hot Date Hummus from Hanes Hummus, a really delicious blend of chickpeas, garlic, peppers, dates and spices. If you can track some down, I highly recommend giving it a try. It turns out that craft brewing isn’t just for beer – kombucha producers are using flavouring techniques, local and small batch brewing as distinguishing features. 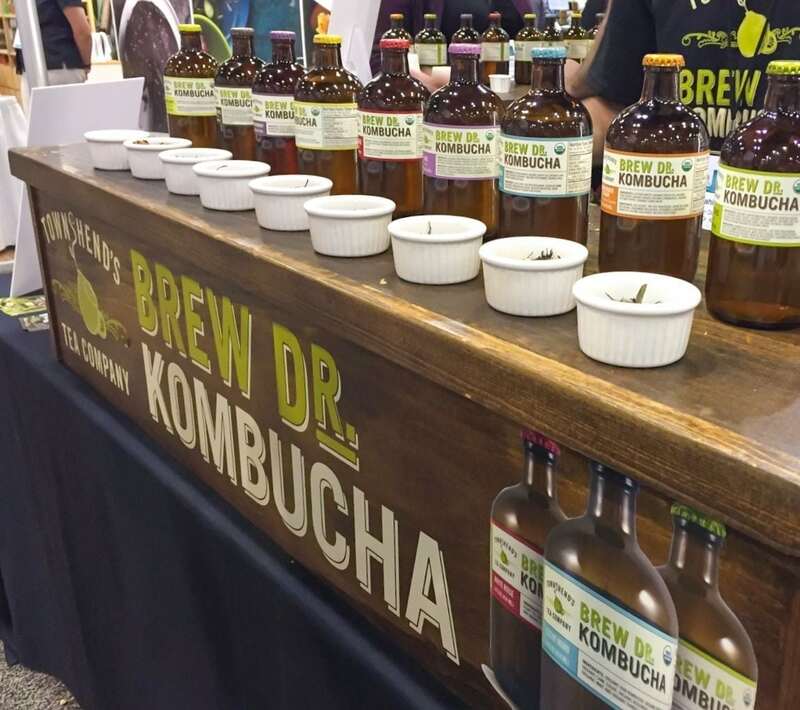 For example, the flavours that Portland-based Brew Dr produce in their kombucha are a result of fine-tuned recipes combining high-quality organic teas, herbs and dried fruits that come together before fermentation even starts. (The alternative – and cheaper – process would be to brew a massive batch of plain kombucha, then separate it out and add other ingredients to create flavour.) 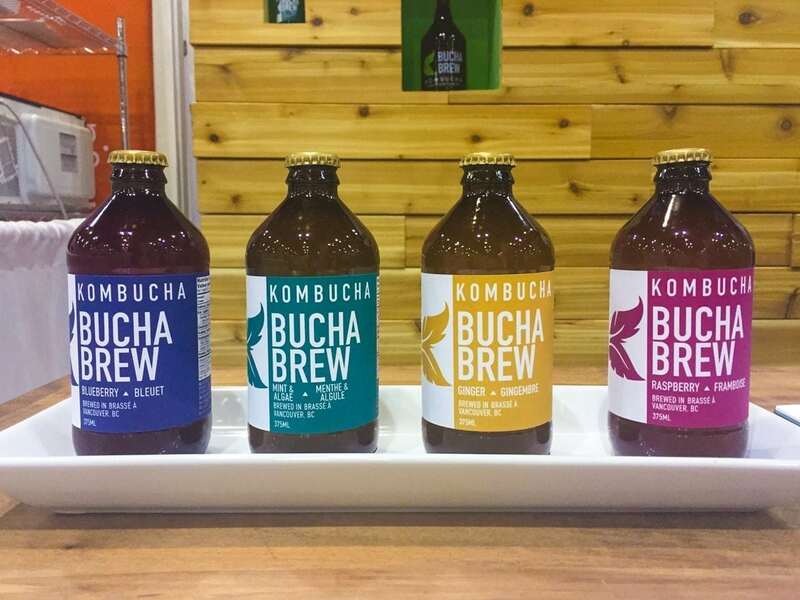 No additional flavouring is done after fermentation happens, and their kombucha is 100% raw. Bucha Brew is a Vancouver-based company offering a similar concept, and the ginger junkie in me couldn’t get enough of their ginger flavoured kombucha. 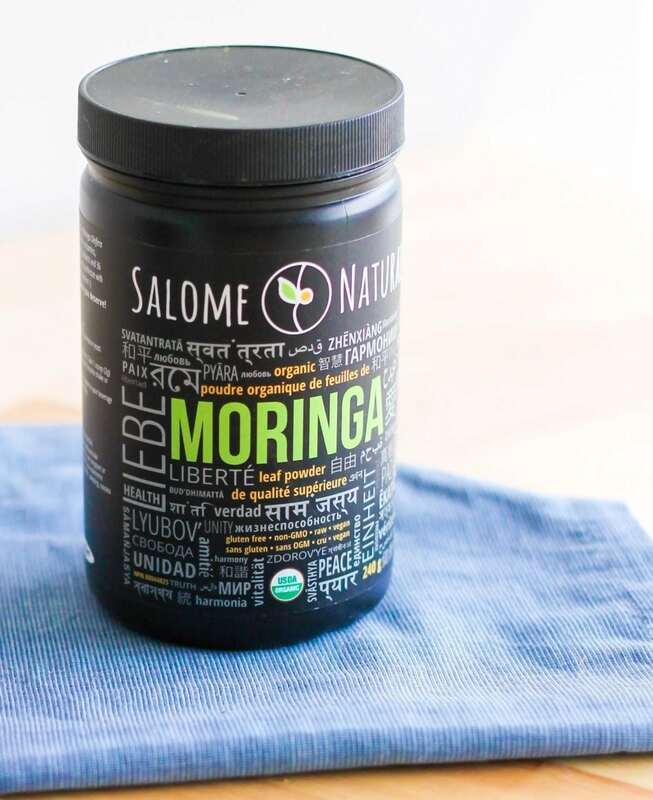 By now you’ve probably tried chia, spirulina, hemp seeds, and maybe a few green powders, but have you tried moringa? I learned recently that it’s the most nutrient-dense plant to be discovered to date, and according to Salome Naturals, a BC-based organic moringa leaf powder producer that I was introduced to, it provides our bodies with the nutrients we need, while also helping with detoxification and removal of unwanted elements. 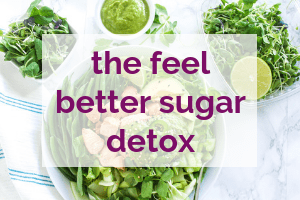 Moringa has been used in ayurvedic medicine for years to treat 300+ diseases and conditions, and is known for aiding in everything from naturally boosting energy and lowering blood pressure to boosting the immune system and improving mental clarity. 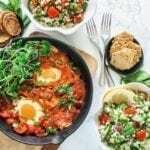 Gram for gram, it’s got the highest protein ratio of any plant, and unlike many other plant-based foods, it’s a complete source of protein, meaning that it contains all of the non-essential and essential amino acids that our bodies need. 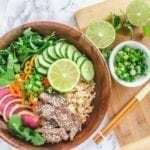 Moringa is also absolutely loaded with phytonutrients, essential fats, anti-inflammatory and anti-oxidant compounds, making it just as good for preventing disease as it is for building healthier skin, hair and nails. 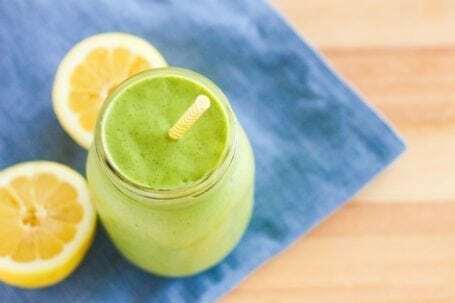 I’ve already been experimenting with it in my own smoothie creations, and if you’d like to try it too, check out the Lemon Moringa Pie Green Smoothie that I posted over the weekend. With an increasing number of schools and employers banning students and employees from bringing peanut products in their lunches, the need for school-safe (and work-safe) snacks has been recognized by a growing number of health food companies. 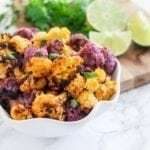 The majority of veggie chips I’ve come across contain nuts (usually soaked cashews or almonds) which are used as part of the dressing that makes the chips crispy. 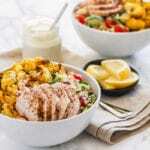 Healthy Crunch is a company doing things a little differently with their ingredients, and their Bollywood Blast flavour is hand-tossed in a mixture of mango, shredded coconut, sunflower seeds, coconut milk, lime juice, date paste and spices. They’re manufactured in a nut-free, peanut-free and gluten-free facility, and as the name would suggest, they have an amazing crunch factor. This is something I took much more of an interest in this year for personal reasons. 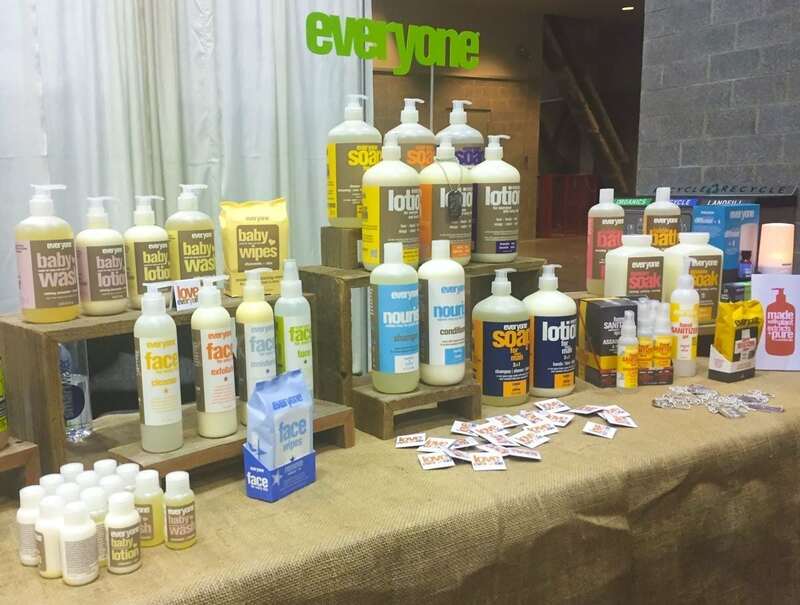 I’m currently in the process of transitioning as many products in my home and makeup bag from conventional to natural ones, and after checking out the huge variety of products on display at CHFA West, it was made very clear to me that, not only is it easy, but there’s actually tons to choose from. 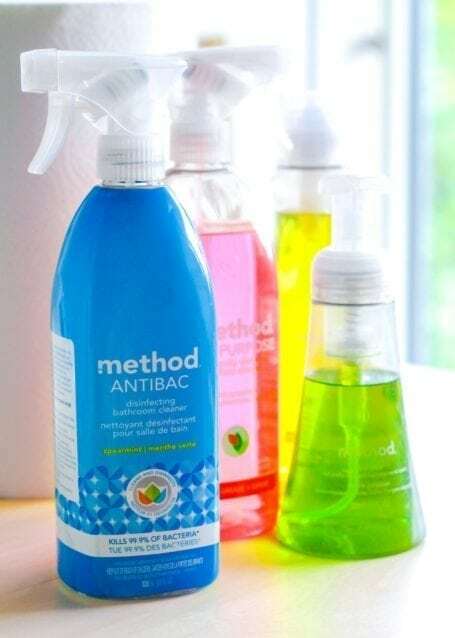 Method and Ecover both have products for cleaning every inch of your home in an eco-friendly way, as well as packaging made with recycled materials, extreme transparency into ingredients and plenty of product education. Perhaps most importantly of all, these products actually work, and they’re not prohibitively expensive either. You wouldn’t put nasty foods into your body if you want to feel your best, so why would your skin be any different? Natural skincare products also aren’t anything new, but just like eco-friendly home products, the fact that this concept is getting more mature means more players in the market and more choice for consumers like you and me. I’m planning to do a post dedicated to natural beauty favourites soon, but for now, I have to tell you about a few companies I’m crushing on. The first is Pacifica, a super innovative and sustainable makeup brand that is committed to proving naturals can work just as well or better than conventional products. 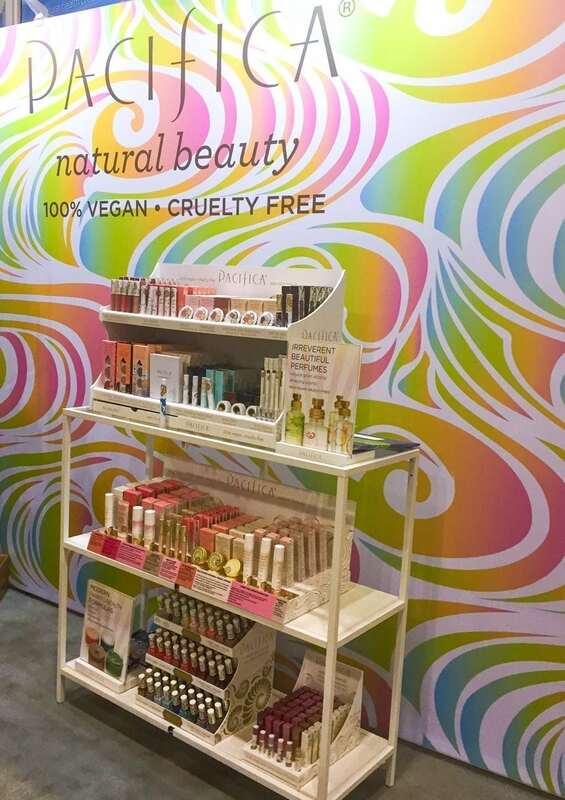 Not only is their packaging absolutely beautiful (the trade show fluorescent lighting above does not do it justice), but Pacifica’s products are 100% vegan and cruelty-free. Their skincare products are formulated without animal testing, animal ingredients, phthalates, parabens, sulfates, propylene glycol, benzene, petroleum, or any other questionable substances that you wouldn’t want on your body. Pacifica’s perfumes and candles smell divine, their nail polish is 7-free, and… well, as you can see, I’m a raving fan. 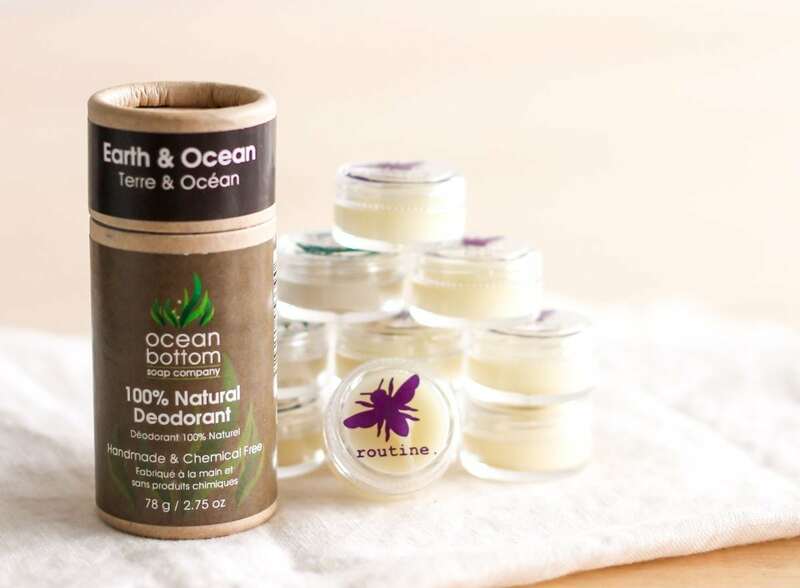 As far as natural deodorants and soaps go, Routine and Ocean Bottom are two Canadian companies with ethically-crafted, clean and wholesome products that (in my opinion) work just as well as the non-natural alternatives I’ve used until now. Both companies offer full transparency into ingredients and show that they’ve made special considerations for vegans, sensitive skin, and people with allergies or special skin conditions. 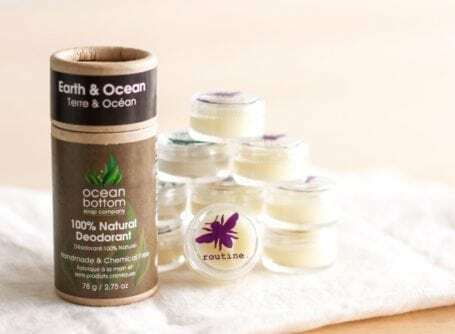 Ocean Bottom’s biodegradable and sustainable packaging is 100% recycled, and their soaps and deodorants only contain ingredients you’d find naturally, such as essential oils extracted from plants. Likewise, Routine’s deodorant cream and the everyone line by EO products get their scents from high-quality essential oils – nothing fake. Good news for those of us that can’t stand the taste of coconut water on its own (raises hand): Cold-pressed watermelon juice contains the same electrolytes and tastes freaking amazing. It’s also exactly what you’ll find in WTRMLN WTR. 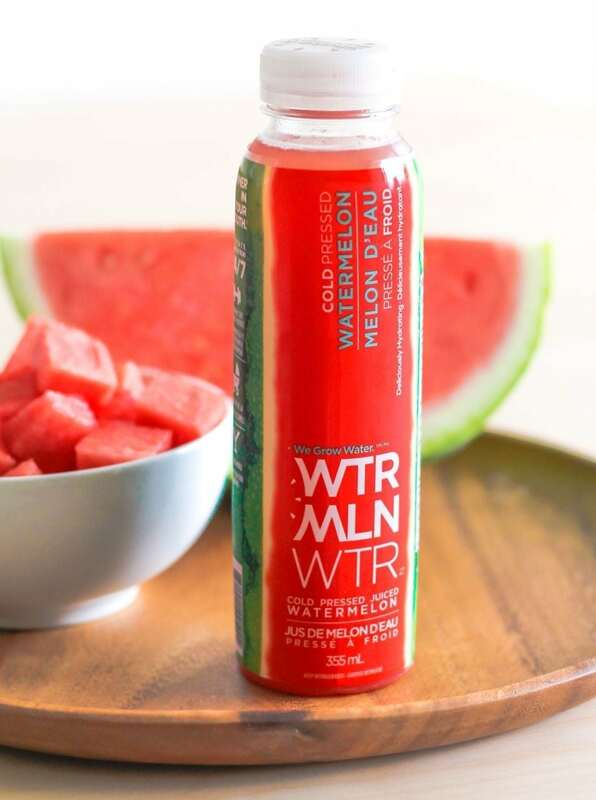 Check them out at wtrmlnwtr.com. 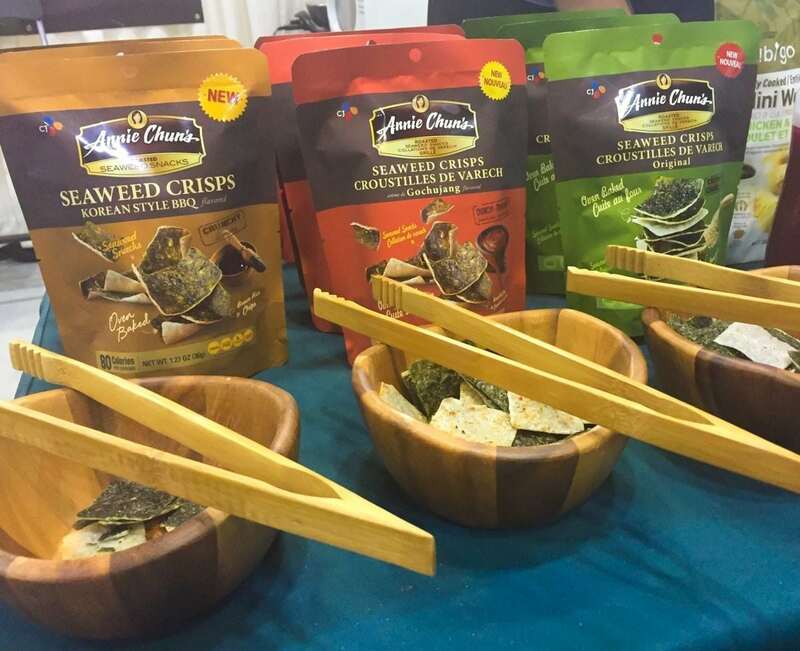 There was a ton of buzz around this product at CHFA West this year, and for good reason too. 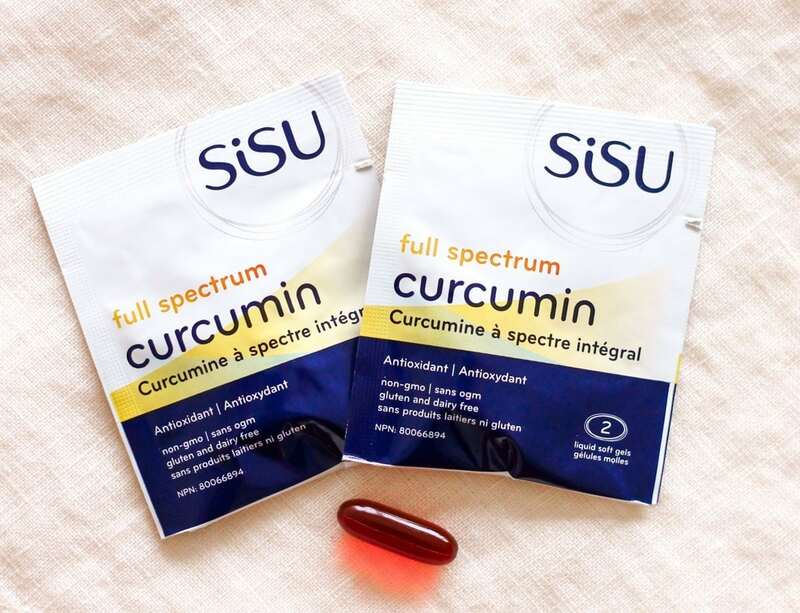 You may know of curcumin as the potent substance produced by plants, and the reason behind turmeric’s bright yellow colour. Studies show that it may reduce symptoms of arthritis like pain and inflammation, and for those that don’t eat vibrant yellow curries on a regular basis, there are many curcumin supplements. The problem is that it’s not very well-absorbed by the body, whether taken as a capsule or in food. 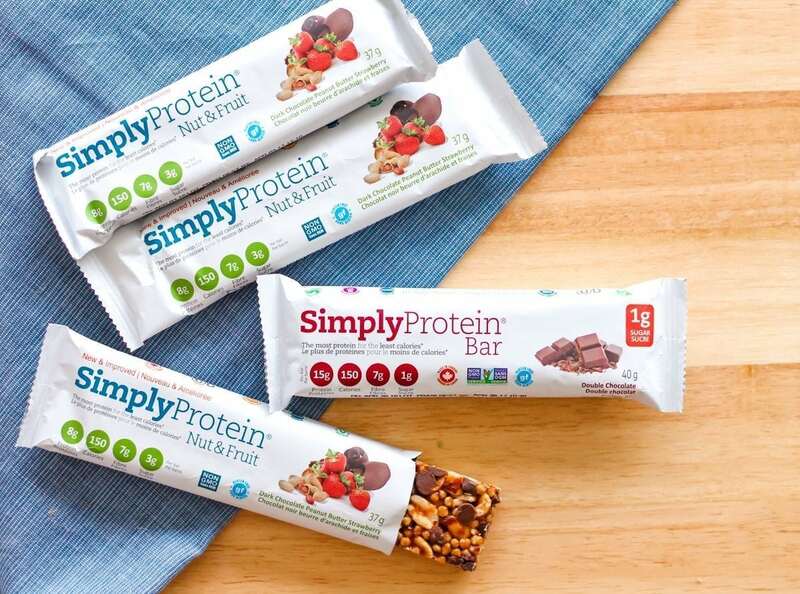 Not only has Simply Protein improved its Nut & Fruit Bar, but they’ve also recently launched a new Simply Bar flavour, Double Chocolate. Two words: bomb. diggity. 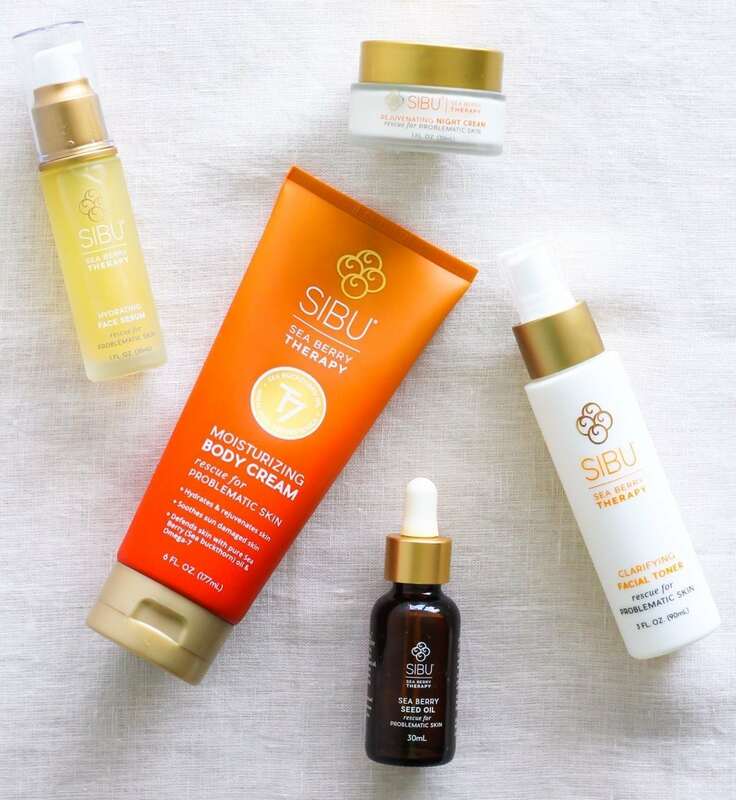 Remember how I told you that Sibu’s sea buckthorn skin products had undergone a face lift? The rebranded goodies are now available across Canada as well as the US and they’re looking pretty! 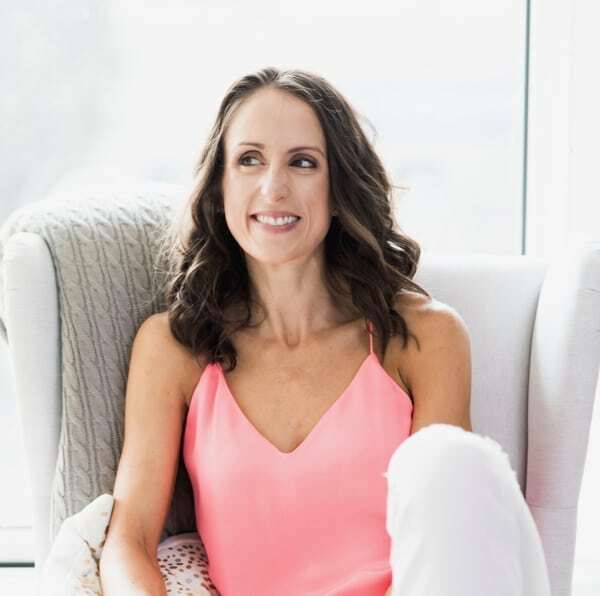 I’ve got an online discount code for you to use in June so stay tuned, but in the meantime, start your wishlist on their stunning new website. 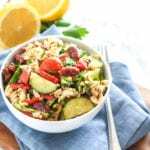 Are you noticing any trends coming out of the food industry these days? What do you think is a fad and what do you think is here to stay? 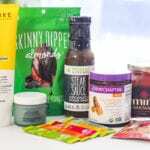 Are there any companies in the natural food/health & personal care space that are totally knocking your socks off these days? Tell me about them! What a great recap – thanks! 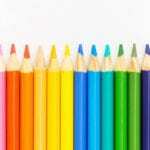 I’m currently a student at CSNN, and you’ve inspired me to see if I can catch the CHFA East trade show in September! Love the trend update! And the new double chocolate simply protein? I am hunting that thing DOWN!